Never suffer from the dreaded low battery again. 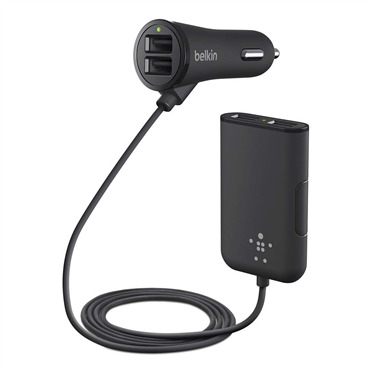 Belkin mobile chargers are able to charge the greatest number of devices on market, making them the only chargers you'll ever need. The sleek, compact design is easy on the eyes and you can plug it in virtually anywhere, so a battery boost is always in reach. The Belkin Car Charger is extremely fast, but it's also extremely small. Plug it into your dash and it seamlessly blends in with your car's interior. And at just 15 grams, it weighs less than a few quarters in your pocket. 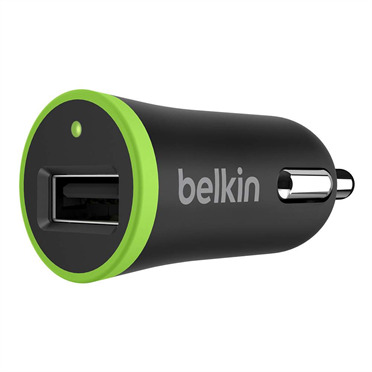 Use the versatile Belkin Car Charger with your own USB cable to charge and sync your phone or a variety of other mobile devices. 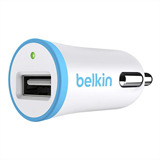 It's the best charger for when you or your passengers have different devices to charge. 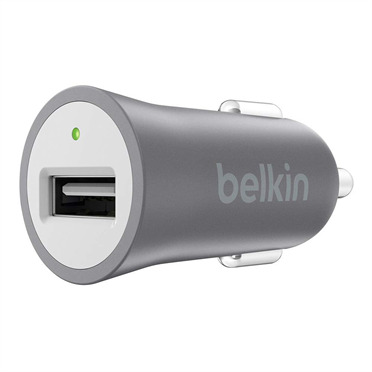 Every time you plug your smartphone or tablet into a Belkin mobile charger, you never have to worry about things like power spikes or storms damaging your valuable mobile device. Intelligent circuitry with built-in voltage sensing detects and responds your device's power needs, while safety features ensure that your devices are protected. Our quality teams go above and beyond for consumer and environmental safety, setting standards above the minimum requirements and putting each product through our own set of rigorous quality assurance tests. We're serious about quality. That's why every Belkin mobile charger is backed by a £1,500 Connected Equipment Warranty. If your phone, tablet or other electronic device is damaged by an electrical charge while properly connected to this charger, we will repair or replace it, up to £1,500.